You are currently browsing the tag archive for the ‘Keep calm and carry on’ tag. There is a lot of progress happening here at Ellipsis! Take a look at the radishes. 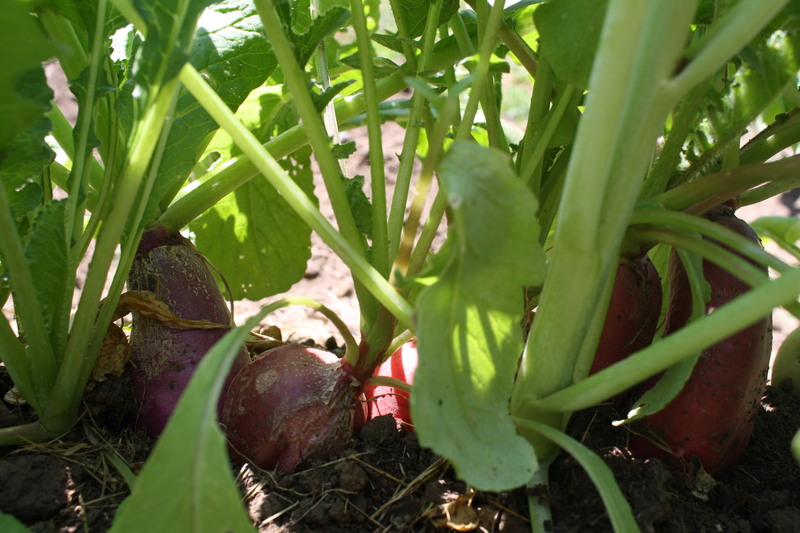 I planted a mix of them including a “watermelon radish” variety that are white on the outside and red on the inside. Can’t wait to make some radish relish with them. 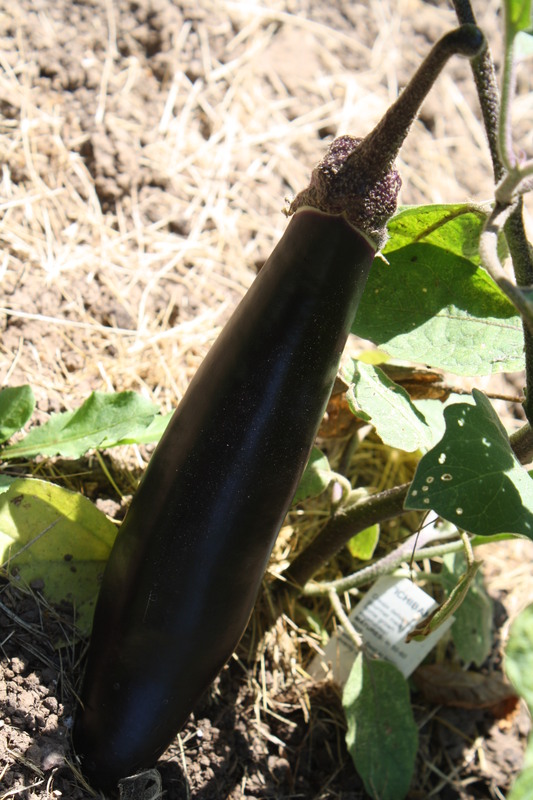 Also an eggplant is almost ready to pick. Not sure what to do with this yet. 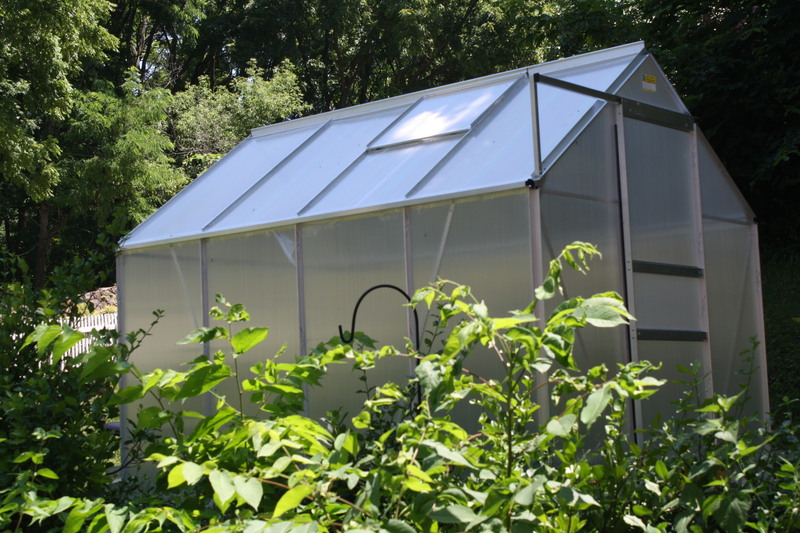 In other news, the greenhouse is up! I haven’t put anything in it yet, but I have big plans for camelia sinensis plants in my near future. Tea here I come! I’m still working out what the sort of near future holds for Ellipsis. Books are continually being added to the Alibris site at ellipsis.alibrisstore.com and working on a business plan, but it’s hard when I’m not sure where I’m going to be even months from now. But I will continue to keep calm and carry on doing what I can as I go.